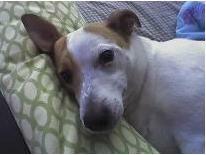 Here you are able to view photos of other Jack Russells. If you're wanting your puppy posted feel free to e-mail me a picture of your pup along with your puppy's name and description. Also, if you have a link to a website you would like displayed beside your pet just send it along too! 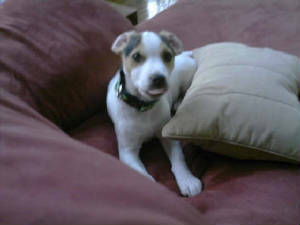 I will be happy to show yourJack Russell off! He is two years old and an all around little guy. 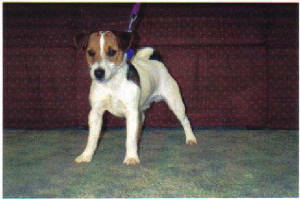 He is used in hunting, shows in conformation, agility, obedience, racing, go to ground, lure coursing and any other events at Jack Russell trials, but most of all, he is a member of our family. Angel has been my riding buddy for four years. It's her very favorite thing to do! 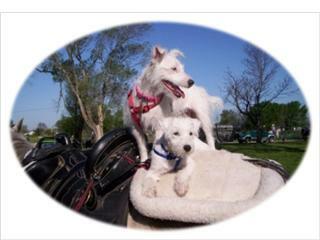 In this picture we're taking one of her pups, Mikey, on his first ride. 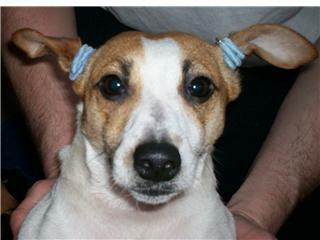 Angel is a solid white, rough coated, female JRT. 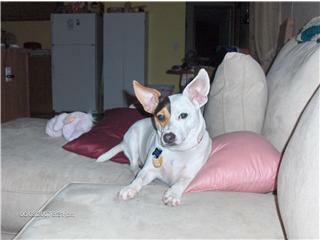 We also have a smooth coated female, Peanut. And a broken coated male, Scooter. And now it looks like Mikey will be our newest permanent resident. 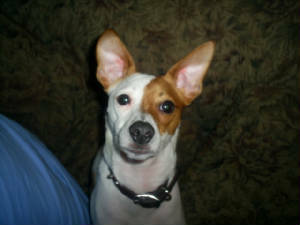 Jack Russell Terriers are the best dogs EVER!! 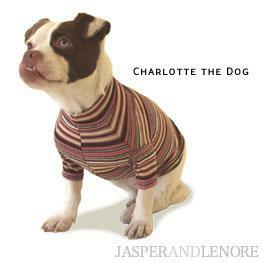 Hi..I'm Charlotte-the-dog! 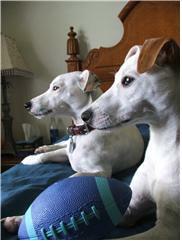 I'm part Jack Russell, part who knows really?? could be displayed here for everyone to see!